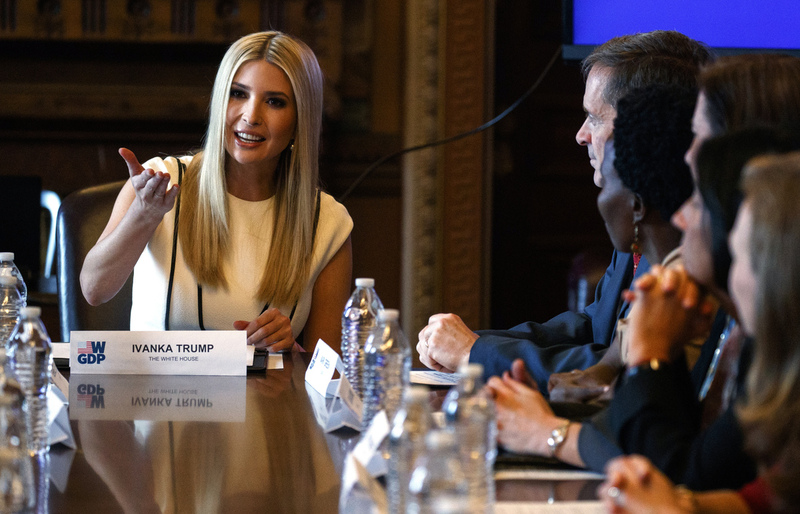 In a memorandum, President Trump said the initiative will build on his administration's "growing portfolio" of women's economic empowerment programs, including the "Ivanka Fund" – a World Bank projectthat she created to award grants to development banks to support women entrepreneurs around the world – and other efforts at USAID and the Overseas Private Investment Corporation (OPIC). The initiative has three main focuses, or "pillars," as the administration calls it: providing women withthe education and skills training they need to enter the workforce; helping them succeed as business owners through financing, access to markets and networks; and addressing other barriers – legal, regulatory and cultural – that keep them from working. But some — especially development experts who have designed such initiatives — are concerned that without specificgoals and more details, it's just a political show. Last year, President Trump proposed a 35 percent funding cut for global gender-equality programs, though Congresseventually rejected the cuts. The Trump administration has also reinstated what's known as the global gag rule to block U.S. aid money from funding any organizations that perform abortions, offer information about the procedure or support more liberal abortion laws.